MedAccred is an industry-managed program. The MedAccred Management Council (MMC) is made up of Senior Quality Leaders and Managers from medical device industry OEMs, Contract Manufacturers and Suppliers. The role of the MMC members is to speak for the needs of the global medical device industry and their organizations in promoting teamwork, facilitating consensus, focusing on quality and ensuring the MedAccred program is robust and representative, from a management perspective. Members identify the best opportunities (regional conferences, forums, etc.) to educate the medical device industry about MedAccred. 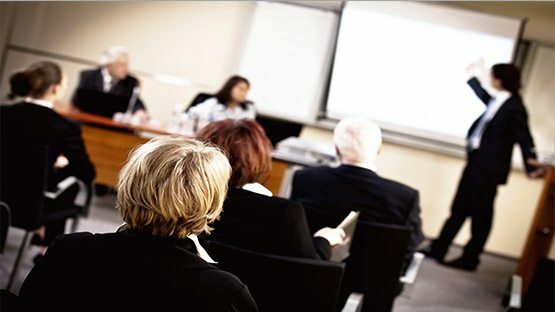 In addition, members provide support by creating presentations and giving presentations on behalf of MedAccred to members of the medical device industry. This committee shall establish measurable goals that are consistent with the expectations of the MMC and the Board of Directors, review progress against the goals, and help develop recovery plans and strategic improvements to meet the goals. Additionally, they manage a framework for responding to requests for data analysis. Subscriber and Supplier Voting Members may participate. This committee shall facilitate and participate in the Appeals Process and investigate ethical issues to identify any necessary actions. Only Subscriber Voting Members may participate. This committee shall provide compliance oversight of the MedAccred Program in accordance with PD1300 and the requirements contained herein. Only Subscriber Voting Members may participate. This committee shall review MedAccred Program operations, identify best practices, and drive standardization across the program to improve efficiency. Subscriber and Supplier Voting Members may participate. All Subscribers are members of MedAccred with voting rights in MedAccred Task Groups and at MMC level. In addition, each MedAccred Task Group may have one confirmed Supplier Member with full voting privileges at MMC except on matters pertaining to accreditation.